He made it to GQ's 50 Most Influential Young Indians' list. Meet Joseph Radhik. 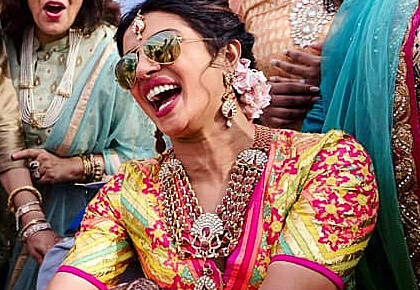 He is the creative coach at Stories By Joseph Radhik, the team behind those stunning mehendi and sangeet pictures from Priyanka Chopra and Nick Jonas' wedding. 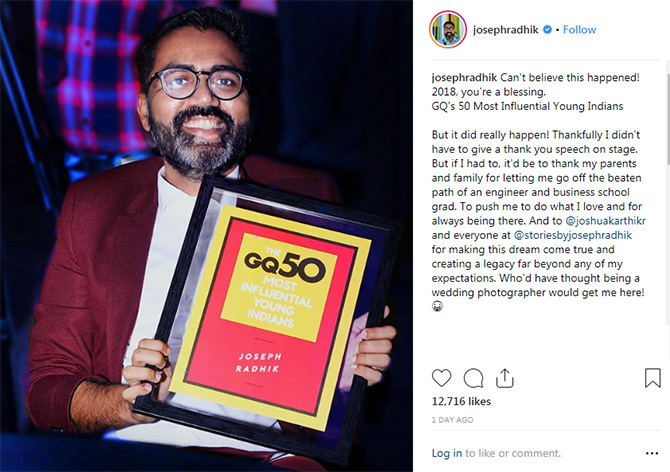 The talented wedding photographer found a mention in GQ's 50 Most Influential Young Indians' list. 'Thankfully, I didn't have to give a thank you speech on stage,' he writes on Instagram. 'But if I had to, it'd be to thank my parents and family for letting me go off the beaten path of an engineer and business school graduate. 'To push me to do what I love and for always being there. 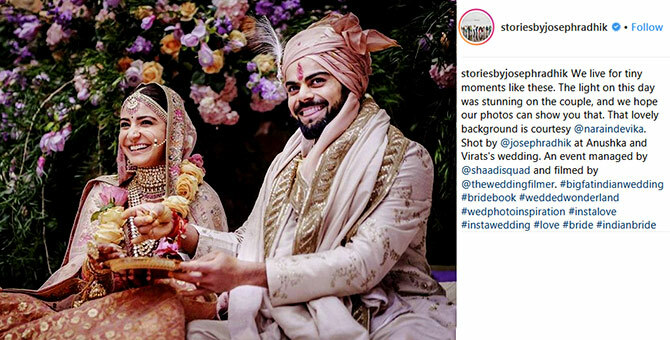 Stories By Joseph Radhik have a long list of celebrity weddings to their credit -- Priyanka-Nick, Anushka Sharma -Virat Kohli, and Naga Chaitanya - Samantha Akkineni, just to name a few. Scroll down to take a look at some of their stunning celeb wedding pics. Naga Chaitanya and Samantha Akkineni's wedding. A shot from Anushka Sharma and Virat Kohli's wedding.